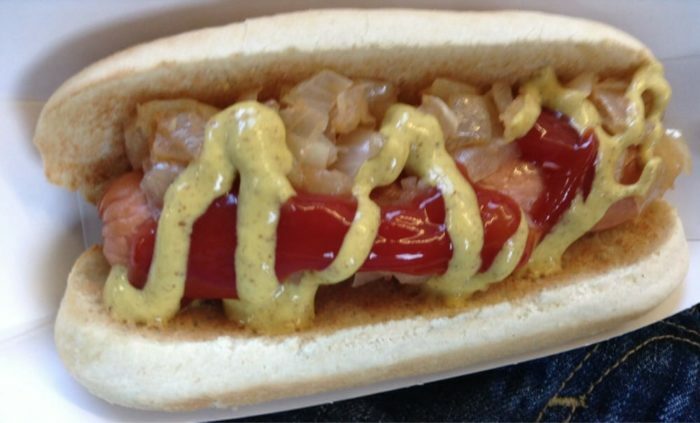 New Jersey just may be the center of the hot dog universe. We’ve got all different styles, iconic local restaurants and seemingly endless options. Here are some favorites, listed in no particular order. 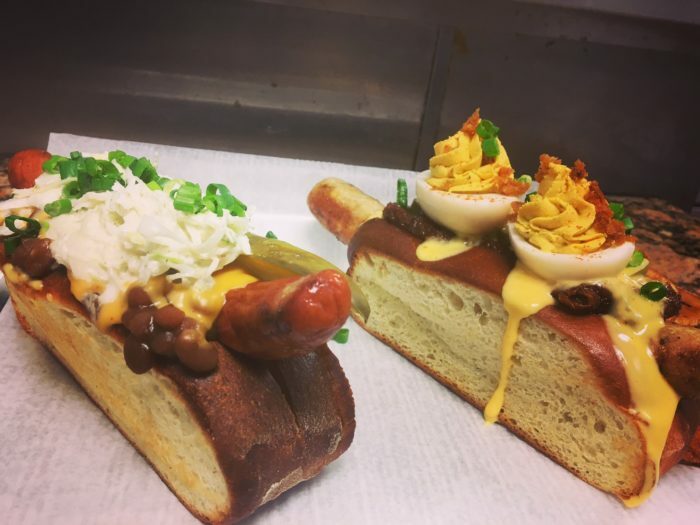 Each of the hot dog joints featured serves up something special. 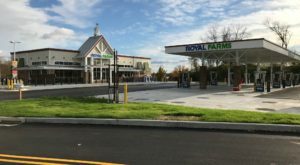 This New Jersey-based chain has grown from a single shop in Long Branch (opened in 1963) to a thriving franchise with 7 locations. 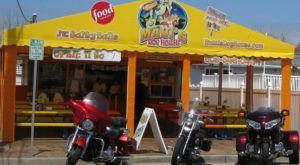 They offer up delicious hot dogs, cheese dogs and chili dogs with a variety of toppings available. The "Free Fixin's Bar" includes sauerkraut, pickles, onions and relishes. 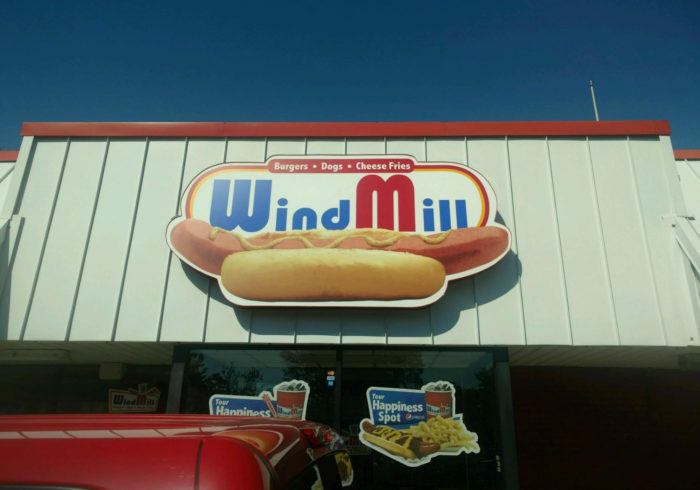 Windmill also serves up some fantastic sandwiches (the Charbroiled Rib Eye Steak Sandwich is a favorite), sides, salads, fries, fish and chicken dishes and burgers (try the Big Ed topped with pork roll). 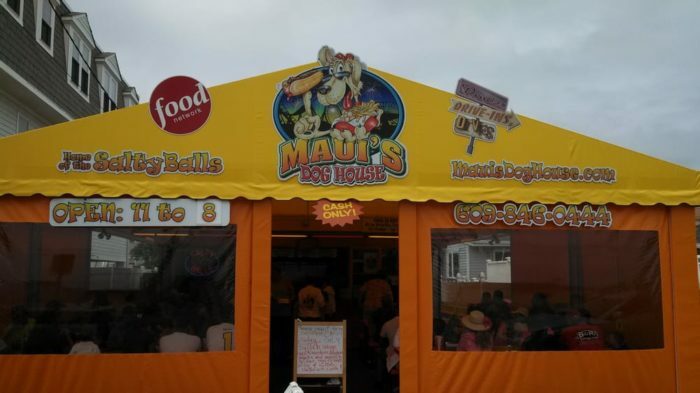 Maui's Dog House is a seasonal shore staple which will likely be opening up again on March 15th. They offer 29 unique toppings including bacon, hot peppers and beer soaked sauerkraut. They're also pretty famous for their flavorful fries - try the Hawaii 5-0 for a perfect blend of spices. Sausages, seafood and salty balls (fresh small potatoes cooked in a brine of salt and spices and served with drawn butter) all add to the menu. Their motto is, "" This is not fast food, it's fresh food cooked as fast as we can make it." Hot Dog Tommy's may have recently lost its beloved owner (Tommy Snyder) to retirement, but I expect only the best from the new owners, who took over last year. The shore spot typically opens up the week before Memorial Day, though their website does currently say it is open for the season. 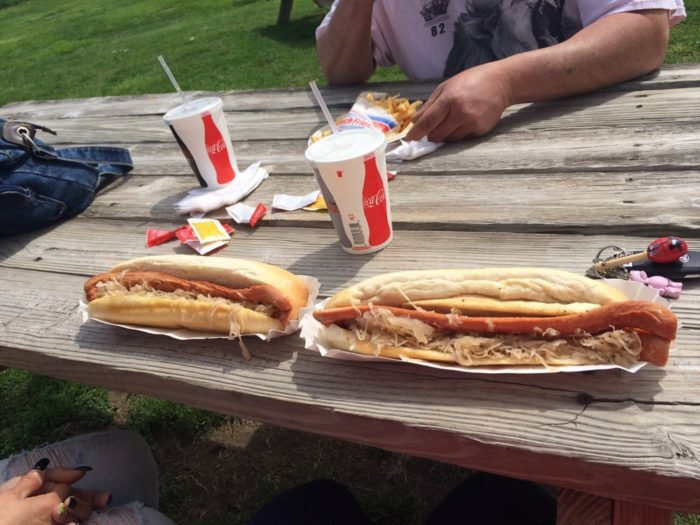 Their hot dogs come in two sizes (the Bigger Bad Dog and Leaner Wiener) and over two dozen creative varieties. The Tornado Dog is one of the most adventurous, topped with mashed potatoes, chili, cheddar cheese, salsa, banana peppers and sour cream. The entire menu is absolutely delightful with "Stuff In A Cup" like The Summer Shower (mashed potatoes, bacon bits, cheddar cheese and sour cream), the Carrot Dog (a cooked and grilled carrot with toppings of your choosing) and plenty of vegan friendly options. 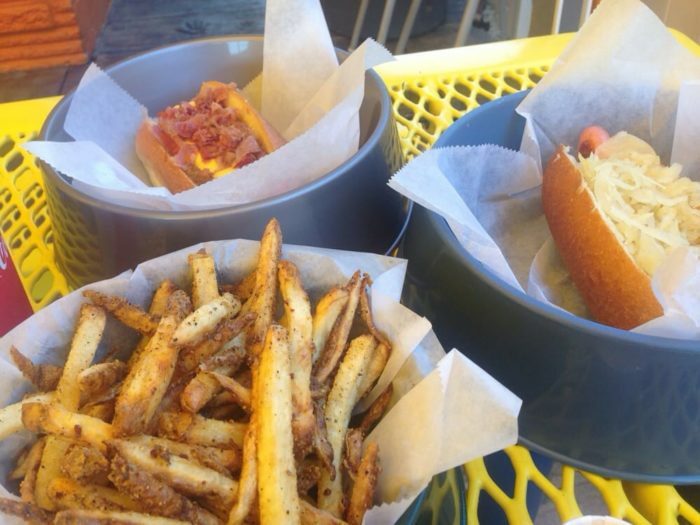 Destination Dogs is definitely a must-visit dining destination. 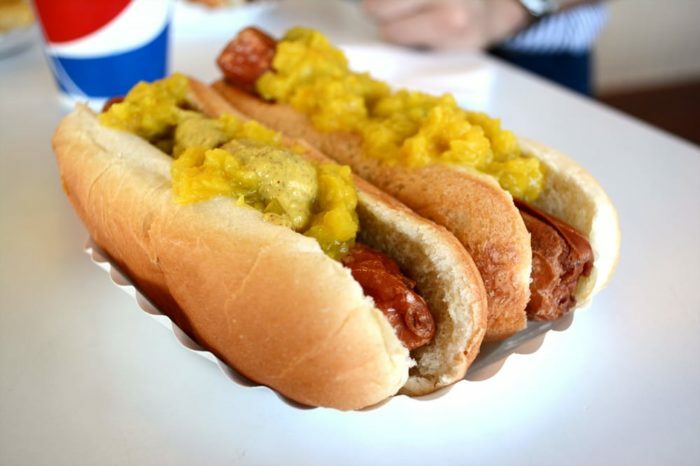 They serve up gourmet hot dogs inspired by domestic and international cuisines. 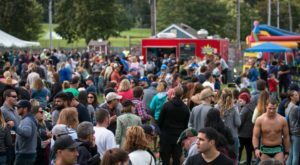 Local flavors include the Boston Red Hots, topped with baked beans and cole slaw and the Trenton Thunder, a deep fried all beef hot dog topped with pork roll, scrambled egg, cheese sauce, tomato and pepper jelly. Global flavors include the Guten Dog (bratwurst topped with sauerkraut, sautéed onions and spicy brown mustard) and the Chivas Royale (a deep fried hot dog topped with cheese sauce, strip bacon, salsa verde, sour cream and scallions.) 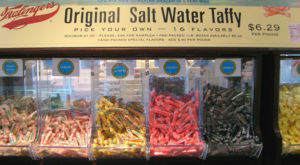 They've also got a full bar with beer from around the globe and a variety of homemade sodas. 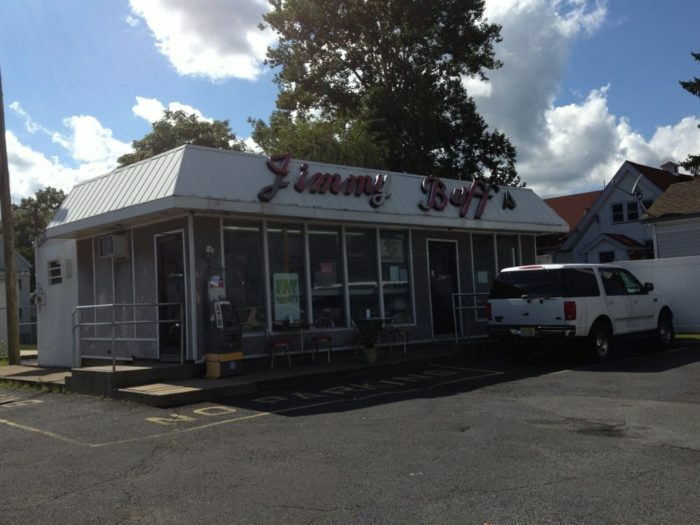 First opened in Newark in 1932, Jimmy Buff's is home to the Italian Hot Dog. 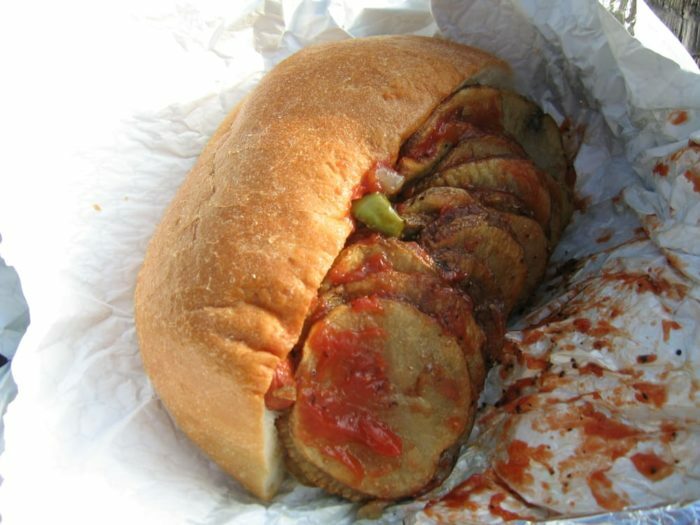 A Jimmy Buff Italian hot dog goes on a quarter of a large roll of Italian bread. The dog is cooked in hot oils and topped with sauteed onions, peppers and potatoes. 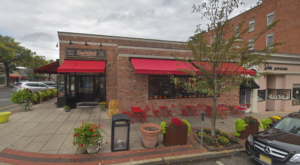 They also offer American-style dogs, burgers and a variety of sides. Perhaps best of all, you can purchase your own Italian hot dog kit online, so you can enjoy the treat anywhere in the United States. A kit includes enough bread for 4 double dog sandwiches, 8 hot dogs, onions, peppers, seasoning and mustard. Hot dog making party anyone? 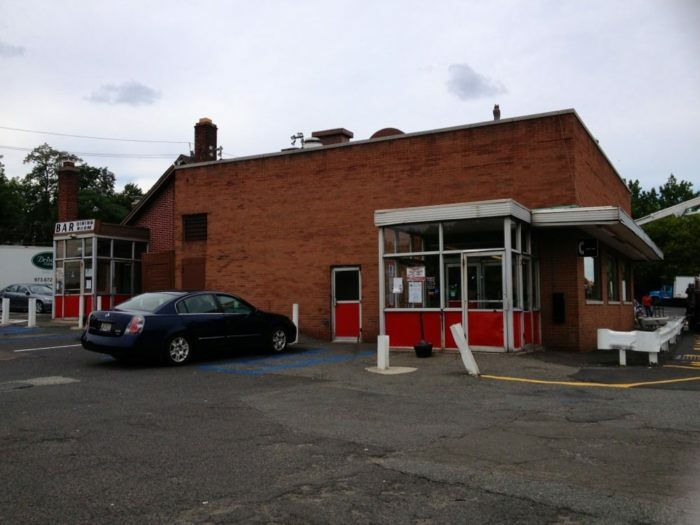 Rutt's Hut, established in 1928, is known the world over for its "Rippers" - fried hot dogs. 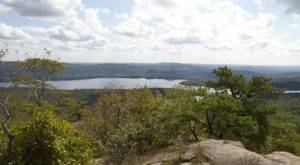 The spot is listed in the book 1,000 Places to See in the USA and Canada Before You Die and has been featured on numerous television shows. The relish is almost as iconic, made with a secret blend of spices. Their BBQ sandwiches are also a favorite. Please note that this restaurant is cash only. You won't need to bring much money though, the prices are very reasonable - you can score a fried seafood platter for under $10. 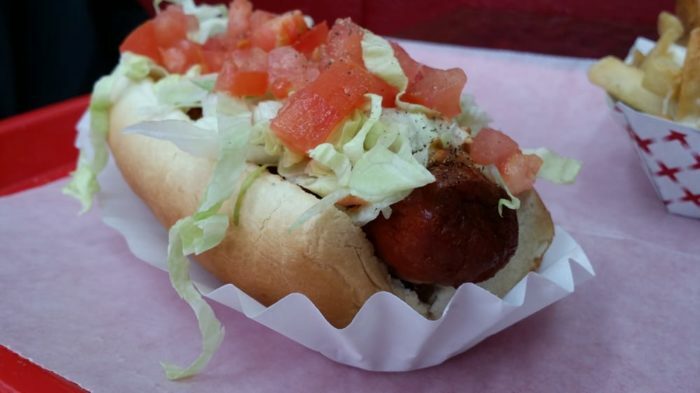 A local favorite since 1961, this spot serves up Texas-style dogs that are absolutely delicious. They've also got generously-sized burgers, fantastic fries, chili sauce, soft ice cream and a breakfast menu. 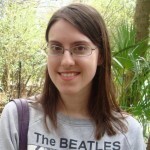 Cash only, they've got great buy one/get one free deals Monday through Friday from 3 p.m. - 6 p.m.. This old-school drive-in is a remnant of days gone by. 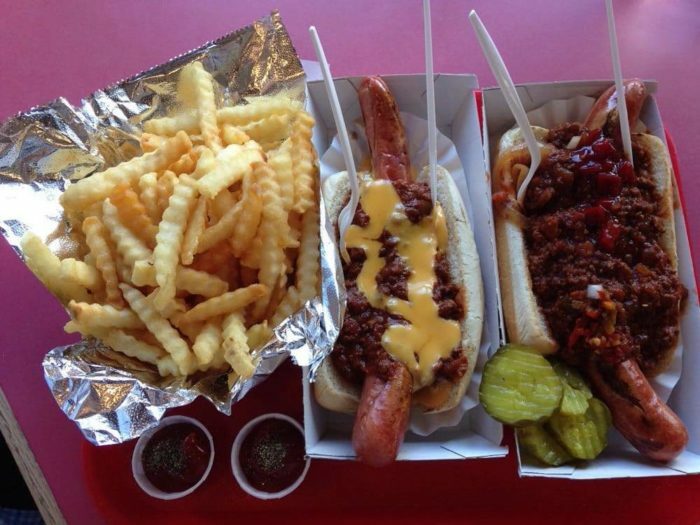 It offers a minimalist menu of comfort food favorites including some flavorful franks. 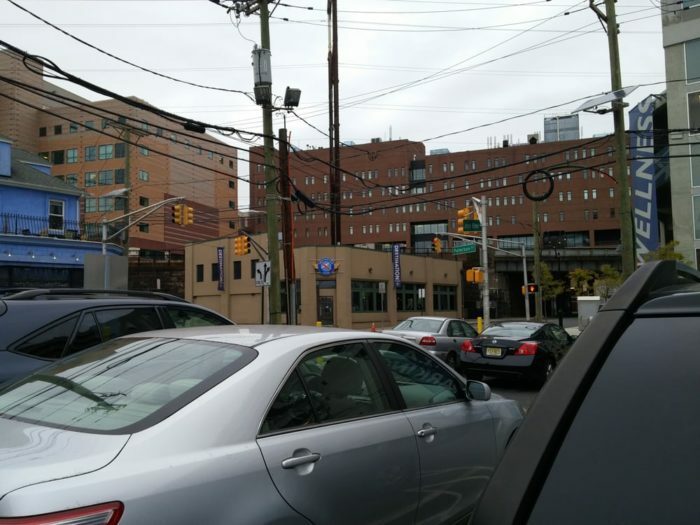 You can also get a good cheesesteak here and a scrumptious pork roll sandwich. Enjoy a shake or root beer float for dessert. 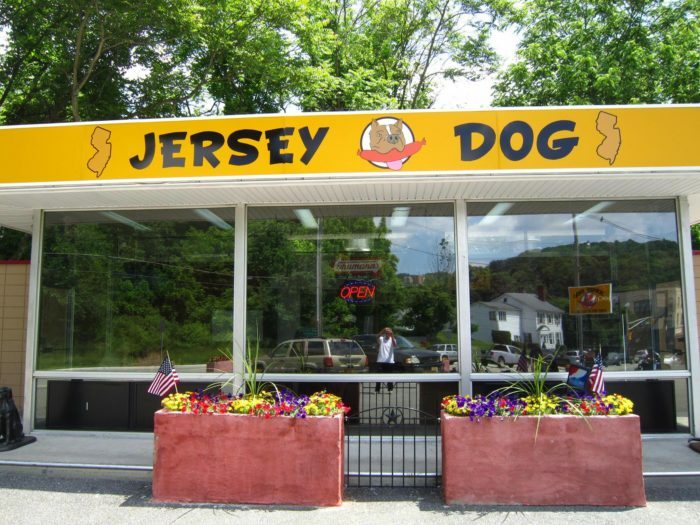 Jersey Dog is big on options. 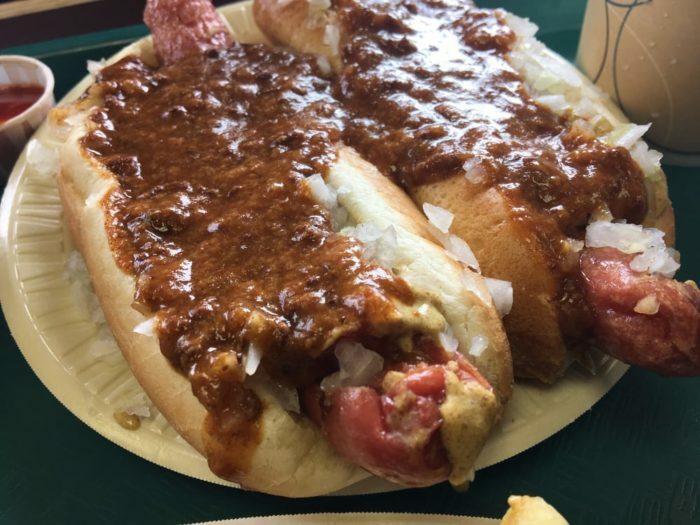 Choose from three different styles (the Sabrett Dirty Water Dog, a Thumann's Fried Dog and the Big Dog Deep Fried Footlong), 11 free toppings and over a dozen different "Signature Dogs." 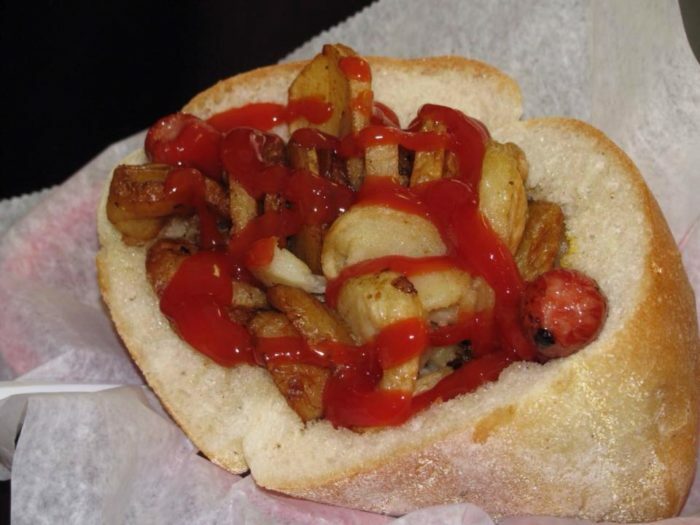 The Burrito Dog is a fun option served in a flour tortilla, but you don't want to miss the Jersey Dog - a taylor ham wrapped dog topped with American cheese, crumbled hash brown and salt, pepper, ketchup. 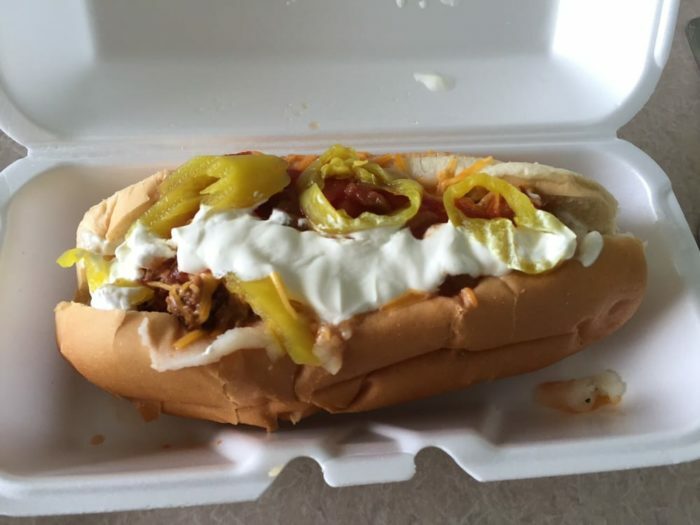 Known for their Italian-style hot dogs and sausages, they've also got epic chili dogs and a great chicken sandwich. 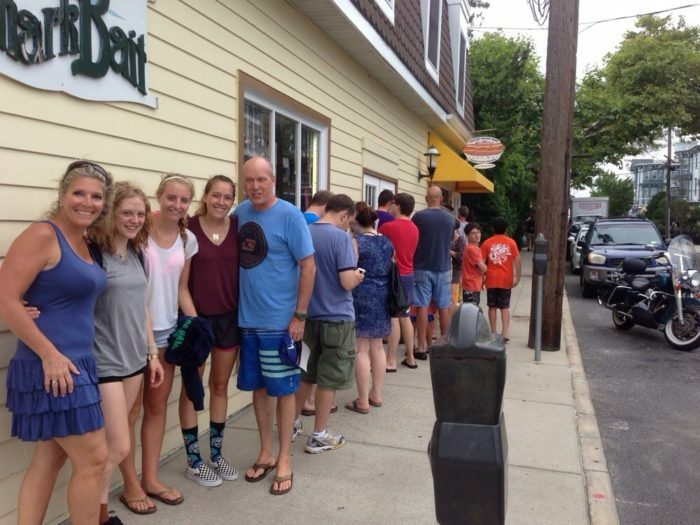 Reviewers rave about the fast, friendly service, which is a plus because you may be waiting in a long line. 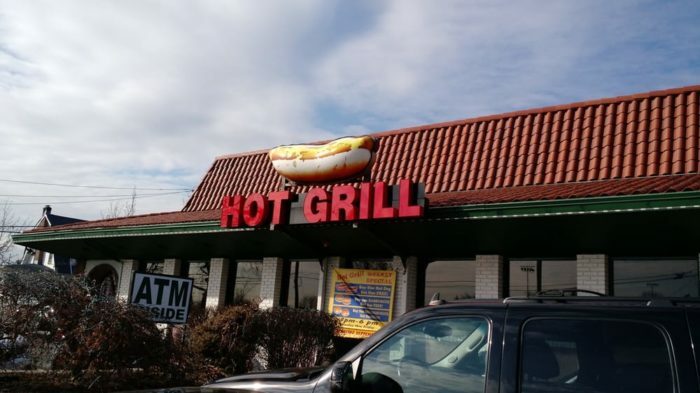 Sure, they've got great custard, but they're famous for their footlongs. 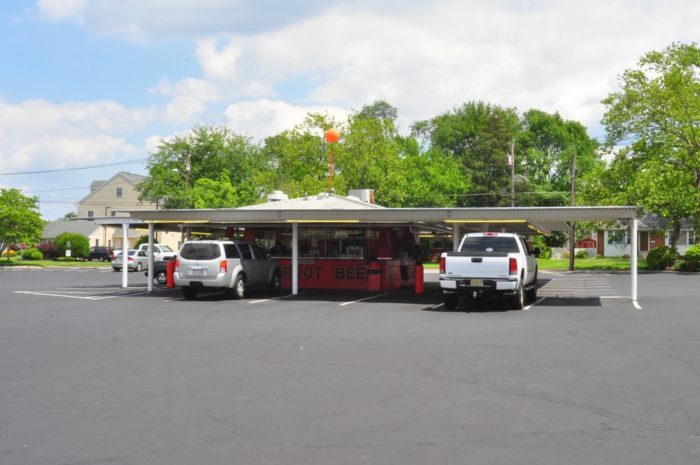 A favorite foodie destination since 1949, they've also got giant "belly buster" burgers. 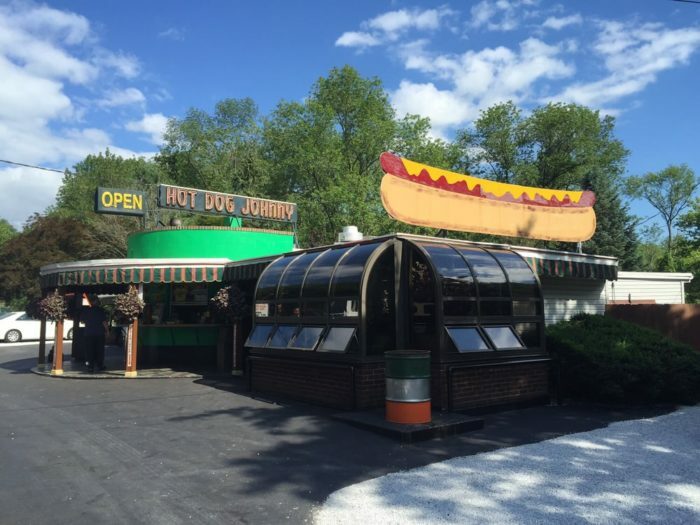 Opened in 1944, this gem started out as a small roadside stand. 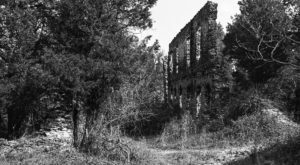 Right on the Pequest River it offers great views and even better hot dogs. 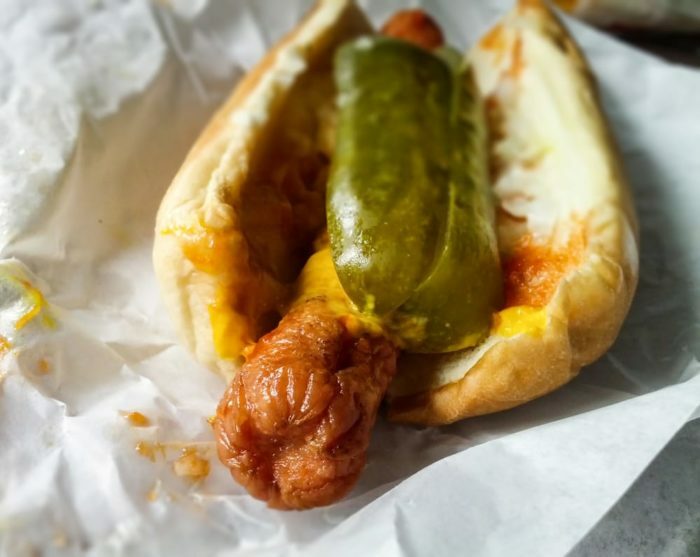 Hot dogs are the only food they sell and they've really focused on perfecting them. 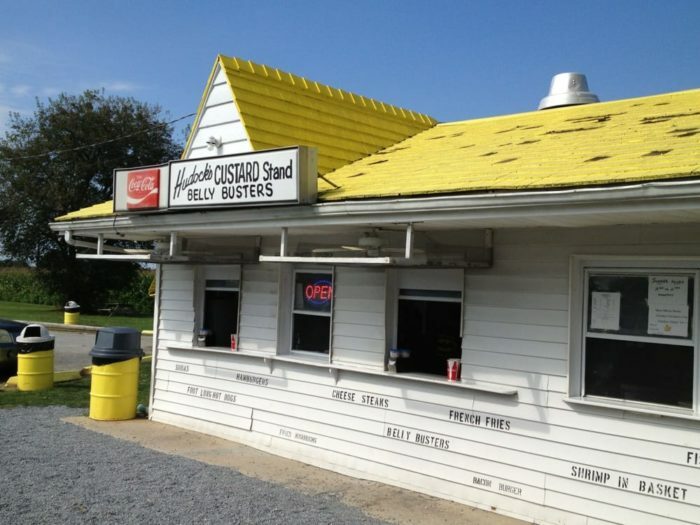 You can get a whole pickle or fries on the side and they also serve up spectacular birch beer. This back to basics spot should not be missed. You'll find indoor and outdoor seating and swings for the little ones. 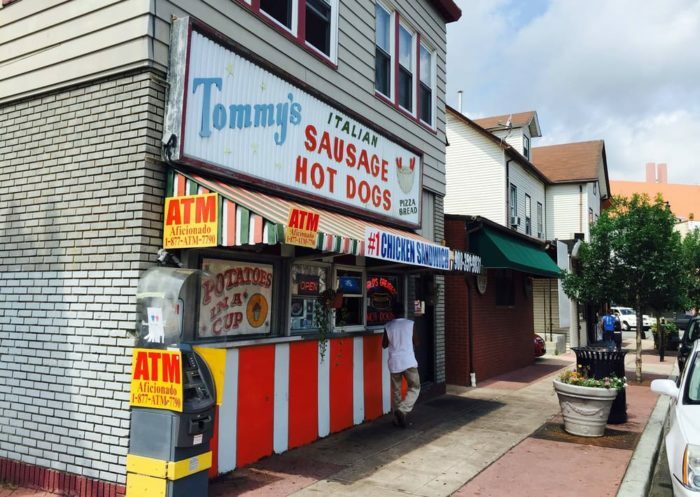 This list is only just the begining – New Jersey is home to so many iconic hot dog establishments, which is your favorite? 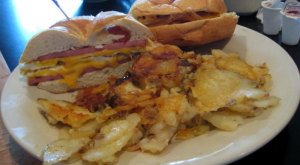 For more moutwatering Garden State cuisine, check out this Pork Roll Bucket List.